Whether you're keeping your car and want to maintain it's new look or selling your car and want to get the most value from the sale let TLD's high-end detail shop handle your needs. Refinishing and restoration form the heart of our business. In fact, The Last Detail was founded as a one-man detailing operation more than 25 years ago. Today, our reputation for meticulous care and authenticity extends to every aspect of our services. By maintaining the appearance of your vehicle, you will enjoy driving it for years to come and when you're ready to sell or trade your vehicle, you will get a worthwhile return for your extra efforts! 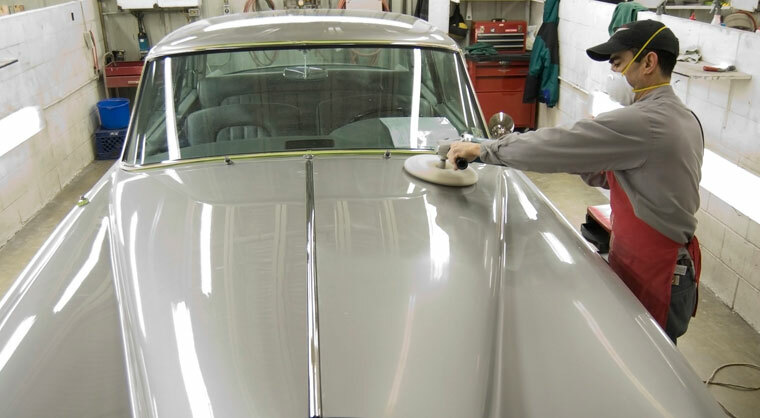 The skills utilized in our Show Winning Detailing are applied to every project -- be it refinishing, upholstery work, structural evaluation and repair, even concours quality preparation for that next big show. Automotive paint can be damaged by improper washing and drying techniques. The wrong accessories and towels can leave swirls, and some detergents can strip the wax. TLD's Hand Car Wash gently cleans your car. We use the only the best selection of ultra-safe, auto wash products and accessories for the protection of your car's exterior finishes and interior surfaces. Our Complete Detail Package will leave your car looking showroom new again! Stop by and see us! For when it has to be right, down to The Last Detail!